I met Heather and Erik awhile ago and even prior to their engagement! Erik is the chef and owner of a catering company in Las Vegas by the name of A Matter of Taste. Through a friend of a friend, I heard about a little open house he was having in a beautiful private home with the view of the city. I attended and got to meet Erik and try his hors d'oeuvres. Heather, on the other hand, had reached out to me because she was interested in getting into weddings at the time. She worked with us for a bit and then she just got more involved in their catering company over time. We have always kept in touch and have used their catering company for a few events. Anyway, they've since gotten engaged and will be getting married in a couple of months at Canyon Gate Country Club. We are so thrilled to be a part of the team on their wedding day! 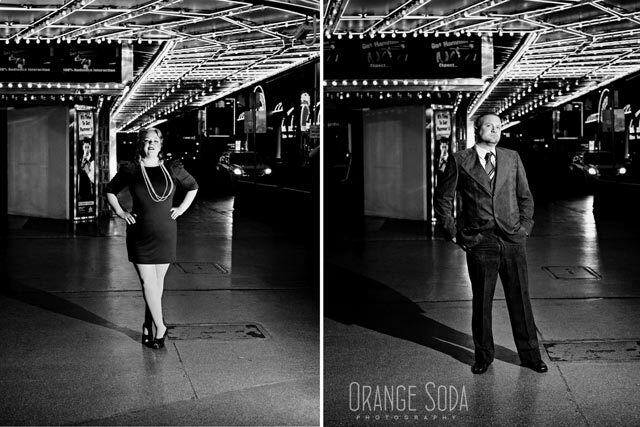 Be on the look out for photos by Orange Soda Photo next year from their wedding. 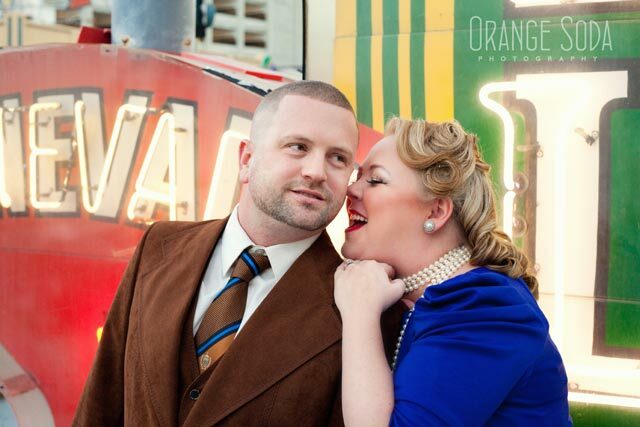 But, in the mean time, check out their gorgeous engagement photos!